Minecraft comes in many forms, but the Pocket Edition is the only one that fits inside your Android phone. The experience isn't all that dissimilar from what you see on desktops, but it does lag behind on some features. Fortunately for players, more have made the transition. 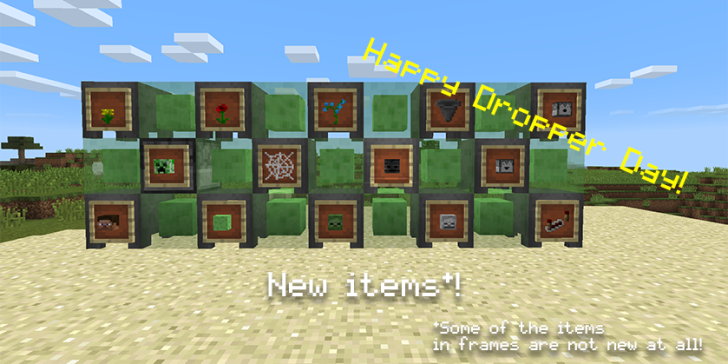 Version 0.14.0 has gone stable, bringing additional Redstone components such as comparators, repeaters, dispensers, droppers, hoppers, and more. Witches are here, though that usually isn't a good thing. In this case, they bring cauldrons that you can use to make potions, create dyes, or generate power. There are also more amusing-sounding additions, like chicken jockey mobs. As someone who doesn't play Minecraft, I will assume these are crowds of chickens wearing Jockey underwear. No, don't tell me otherwise. I'm happy thinking this is why people enjoy the game. The changes have been available in the beta since the end of January, so some of you are already familiar with what's new. But those that aren't are welcome to read the changelog below. 15 new Redstone Specialists skins for your Redstone engineering, mining, rail-riding and TNT-ing!